Good Morning! 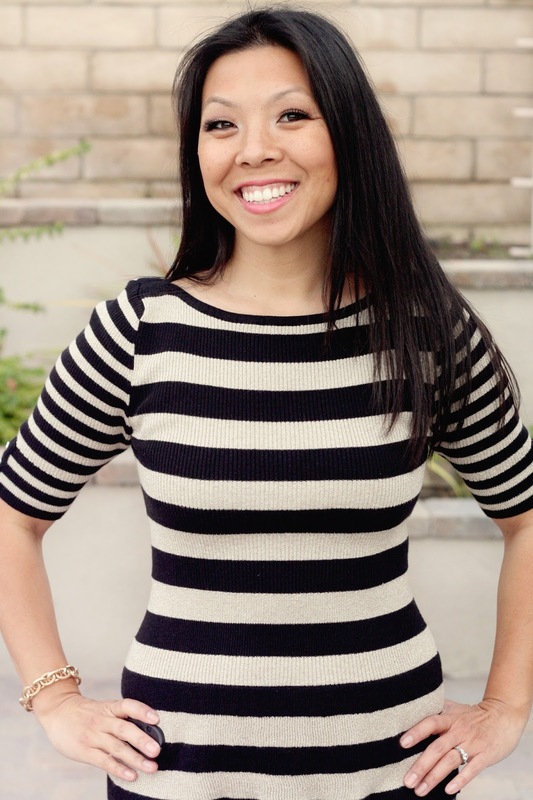 I was struggling with what to write on my day to take over The Blended Blog. I was worried that I wouldn't come up with anything in time...leaving my space completely blank...I imagined an incessant blinking cursor. But fear not...something magical happened to me. I've always heard such great things about The Polar Express movie, you know starring Tom Hanks. It was playing on ABC Family, so I recorded it to watch with the kids sometimes before Christmas. Mr. was out of town for the weekend and I was sick of alternating between Star Wars cartoons and My Little Pony, so I suggested The Polar Express. Baby Fox was reluctant at first, but 2 minutes in and he runs upstairs to grab his blankie. Mini Fox woke up from her nap soon after and the three of us sat on the couch watching it. Sitting there with the two kids was like magic. They (really Baby Fox... ) were really into it. Baby Fox starts yelling at the TV for the boy to jump on the train, and yells and the other boy to run faster to catch up, covering his eyes when the man on the top of the train appeared, covered his eyes when he though they were going to get in trouble and was cheering with the elves when Santa appeared. I think I got more enjoyment out of watching the kids faces light up than actually watching the movie. 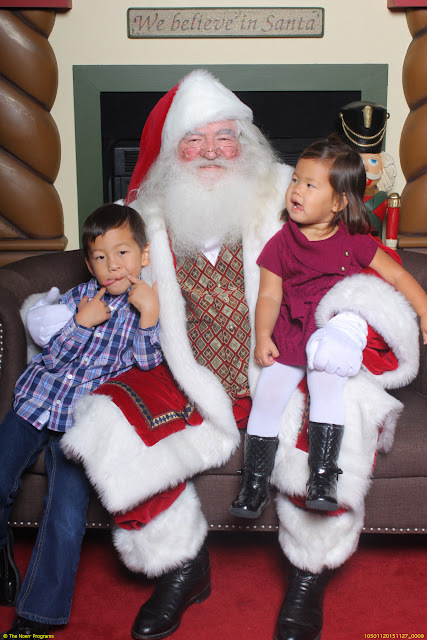 This is the first Christmas that both kids understand Santa and Christmas and are genuinely excited about all of the festivities. I think as you grow up you sort of lose the magic that is Christmas. Life seems to speed by, Halloween comes, you blink and it's Thanksgiving and you're so busy buying gifts life passes you by and all of a sudden it's Christmas and you wonder how it went by so fast. Lists are always running in my head, but sitting there watching the movie reminded me of how magical Christmas was when I was a kid. Going to see Santa and trying to stay up late waiting to hear reindeer footprints, never actually remembering falling asleep. So I am going to take these next few weeks and remember what makes it all so magical. The excitement of believing in Santa, being with family and friends, giving to those around us and living in the moment. I am so excited to help make that magic alive for my kids. 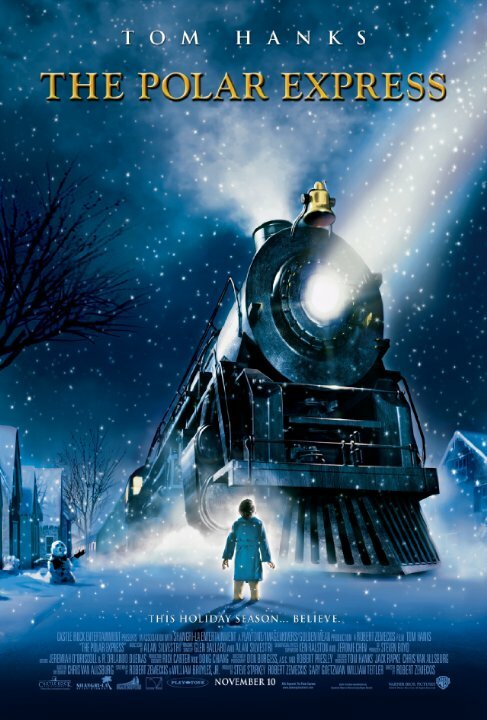 Start new traditions, continue old ones and to remember, like in The Polar Express, to just believe. Slow down a little the next few weeks, look around, enjoy the scenery (especially if it snows where you are, enjoy it now...even though you know in May you're going to be hating it) and especially be thankful for all that has happened in the past year and look forward to all that will happen next year. Merry Christmas, Happy Hanukah and Happy Holidays!